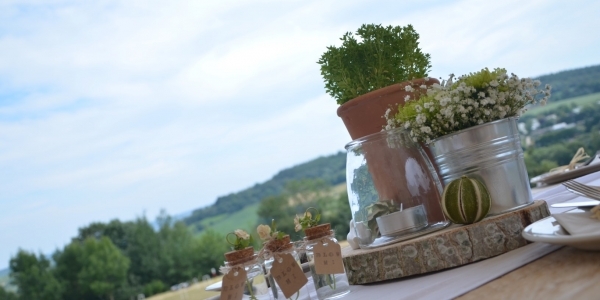 At Burrow Farm Gardens Wedding Venue we believe that on your special day you should be able to have the wedding reception that you want! That means that unlike many other venues, we allow you to choose everything about your wedding reception including marquee, entertainment and caterers. The marquee area is situated adjacent to the beautiful Anniversary Garden and guests are free to wander throughout all 13 acres of gardens which offer some stunning scenery for wedding photos. We also don’t ‘cram’ weddings in which means we allow you several days before to set up so you can get everything just how you want it. 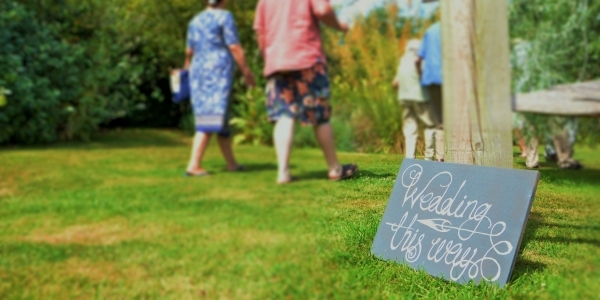 We do not possess a wedding license so it is not actually possible for wedding ceremonies to take place at Burrow Farm Gardens. However it is becoming a more and more popular choice for people to get married in a registry office and then have a wedding ceremony with all of their friends and relatives in a beautiful outdoor location. We have numerous suitable areas within the garden for such a ceremony and would be happy to discuss this further with you. For more information or to arrange a visit please email us. 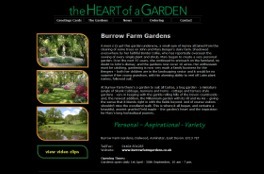 In 2008 Burrow Farm Gardens and its creator Mary Benger were featured in The Heart of the Garden DVD and book. This wonderful DVD tells of the creation of Burrow Farm Gardens with insight from Mary herself. Both the DVD and the book are available to purchase online or in the Gift Shop at Burrow Farm Gardens and feature seven other gardens from the South West.